My name is Pasquale Anthony Leonardo but everyone calls me Tony. I started Movement Pictures in reference to my narrative bike messenger film Kaya (also called The Messenger). 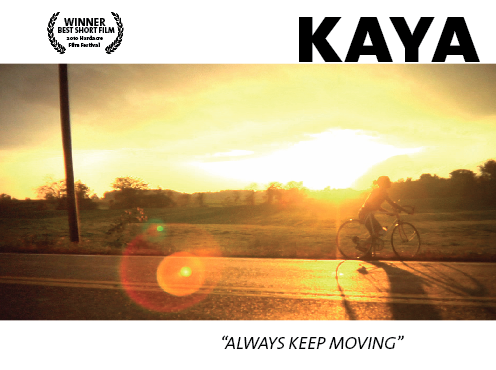 Kaya won two film festivals and an award for Best Cinematography. Some know me as a writer and historian for the sport of ultimate. I've co-authored two books here and here and have a third sketched out. Before ultimate I directed theater shows and acted, both of which led me to film production at Brooklyn College and, later, a scholarship to study Screenwriting at The Film School in Seattle. I've managed to write about (and play) ultimate while working in New York as a sound man, camera operator, director and writer. Movement Pictures unites my passions. Upcoming projects include a a feature narrative script adaptation of the African memoir Everything Lost is Found Again by Will McGrath and a documentary on the history of self-governance in the realm of ultimate frisbee focussing on its unique historical origins in the summer of 1968. I like to think and work creatively and uniquely and will propose ideas for free. Drop a line.